Description: "The Spanish-made Fono Acustica: Armonico's are musical to the max in any language... [T]he Armonico's are wonderful, and surely destined to be in some of the world's best systems. "[T]hese cables undoubtedly perform near the top of the heap." 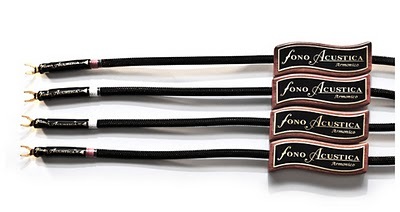 "The Armonico cables produced a warm, rich, physical sound... The midrange was vivid and harmonically saturated, while the top end was satin-smooth... [T]he Armonicos' richness and romance were so pronounced that I found it easy to imagine many listeners immediately falling in love with them, given the icy quality of so many contemporary recordings and audio components." When was the last time you experienced the sensation of real music? Was it a live performance? Perhaps a symphony or a jazz jam... How attainable is this experience in your listening room? Is it close enough for the critical listener to abandon himself to the passion of music? Now there is Fono Acustica. 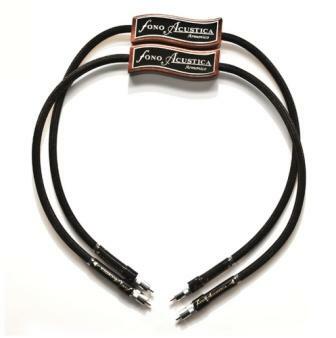 Fono Acustica is a new, unique cable manufacturer based in Andalucia, Spain. Focused on high end performance with an artisanal aesthetic, their goal is to help audiophiles discover the true potential of their existing electronics. To overcome the performance limitations of existing designs, the principal designers of Fono Acustica spent years in their search for a better solution, and found one in the unique precious metal conductors and simple but labor-intensive, no-compromise construction. 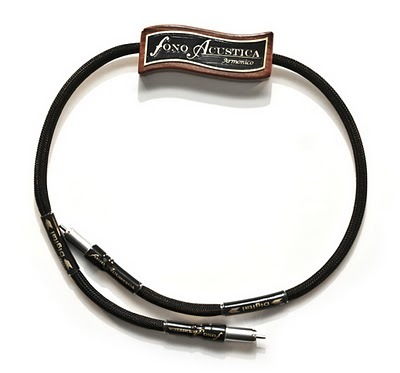 Eastwind Import is proud to be one of their first US dealers and to present their exquisite Armonico audio cable line. To Spanish vintners the term "Armonico" signifies harmonious balance: the maximum expression of quality. Discover in Armonico Audio Cables a harmony of musical expression and audio perfection, of high performance and the aesthetics of hand-crafted design. In revealing the source they reveal themselves. 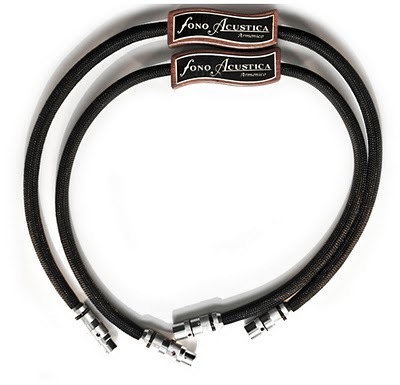 Armonico cables are hand-crafted from the finest materials. The wire is manufactured specifically for Fono Acustica as a proprietary blend of silver, gold and palladium, in an optimal ratio determined through listening. These solid-core conductors are then hand-wrapped with teflon dielectric tapes and then put into a silicon tube for EMI/RFI shielding. They are terminated with Oyaide's best connectors and solder alloy approaching 100% pure silver content. Each cable requires 20 hours of assembly and test time. All cables are burned in at factory using specialized equipment. 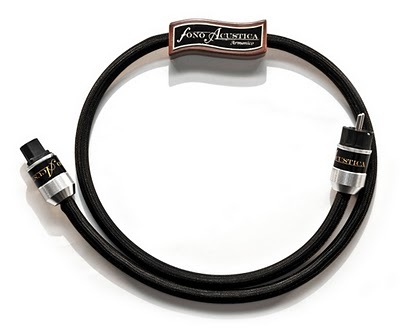 Armonico cables have a superb resolving power and definition, and super-quiet, "black" background. They have a sense of astonishing openness and immediacy, exteremly wide bandwidth, neutral frequency balance and tonal purity--correct pitch and timbre that is critical to conveying nuance and realism. The music flows with tremendous dynamic energy, weight, and transient attack. All this is achieved without being analytical, hard or cold. Through Armonico cables, the music retains its organic expression. While expensive, Armonico cables consistently outperform top-of-the-line, super-expensive cables from thw world's top brands, including those costing much more. Armonico cables are perfect for audiophiles who want the best cables in the world to realize the full potential of their existing high end audio systems. "adds a bit of blood and guts to the mid-range performance"
"a top speaker cable and most wonderful even if you have ultra-fast diamond tweeters and ceramic drivers"
"Their musicality is undoubted. Their overall presentation of definition is outstanding." "The mids filled out and warmed the lovely definition of my hi-res Alesis 24/96 discs. There just seems to be more there than my other digital cables could muster." "another top choice for any music lover"
"super harmonious and nicely detailed"